Clear up the confusion! 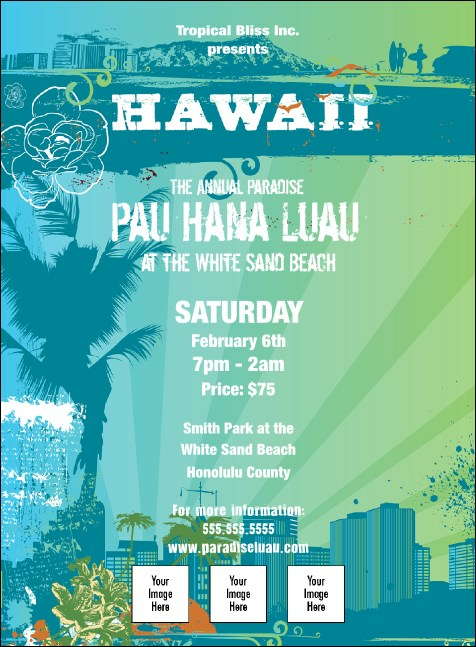 Transcend kaona with a straightforward Hawaii Invitation and start spreading aloha to your mailing list! Beautiful island images pair with your own custom logos or photo along with nine lines of custom text so there's no doubt as to when and where your guests are expected to arrive. Discover an archipelago of publicity products in TicketPrinting.com's huge online gallery!